Keith Rowley went to New York last week on a speaking mission to update our diaspora in the United States about the state of affairs in Trinidad and Tobago from his point of view. I was not there but in today’s interconnected world you don’t have to be anywhere anymore to know what’s going on. And some of the pictures that have been circulating on the Internet were downright embarrassing for a man who wants to be the next Prime Minister of Trinidad and Tobago. 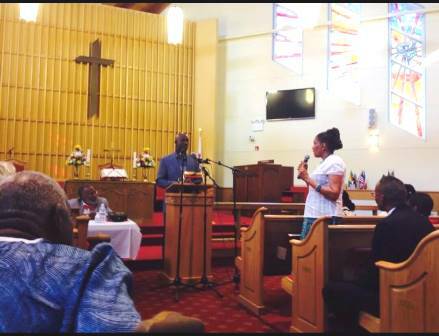 One photograph, shot in what appears to be a church, showed empty pews with just a few people with Dr Rowley at the lectern and a woman with a mike, apparently asking Dr Rowley a question. 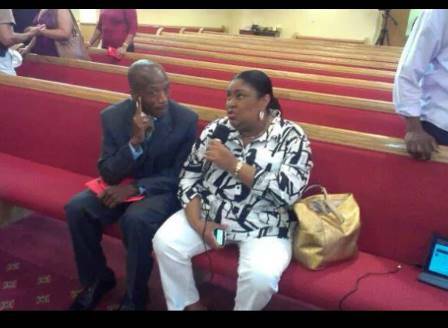 Other pictures showed what appeared to be reporters with mikes talking with members of Rowley’s delegation in a deserted church, indicating either that people rushed out as soon as the PNM leader concluded his presentation or that just a few people attended the event. 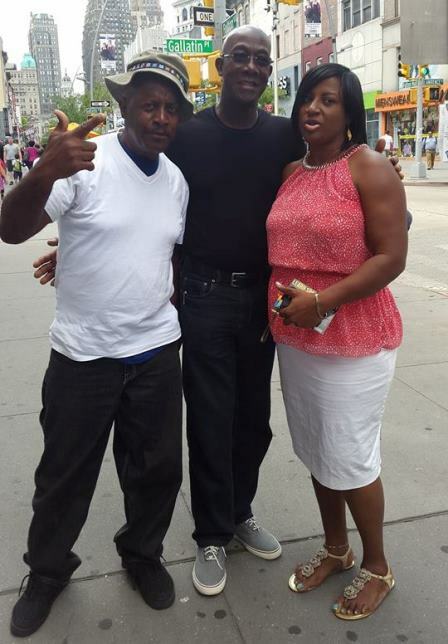 And there was one picture of Dr Rowley hugging two people on a New York street. The embarrassment was magnified when you contrast his visit with the various foreign trips made by Prime Minister Kamla Persad-Bissessar and the fact that in each visit enthusiastic crowds were present to greet and welcome her. My conclusion is that even away from home people see a leader in Mrs. Persad-Bissessar and the exact opposite in Dr Rowley. Even the very unpopular Patrick Manning was able to draw an impressive crowd on his overseas trips and Manning was considered the least popular of all his predecessors according to a poll conducted in 2010 by Dr Selwyn Ryan. Of course reports say it was not a total bust in terms of attendance. One person who attended one of Dr Rowley’s events organized by PNM International at Medgar Evers College in Brooklyn reported that about 200 people were present and that Dr Rowley and his entourage were “well received”. Dr Rowley was the only speaker with an audience that was sympathetic with his cause. Still he failed to excite his audience primarily because he presented nothing new and blamed the current administration for spending too much on social support programs that were there long before May 24, 2010 as part of the PNM’s political patronage efforts. He also spoke of crime and drugs and all the expected things that he has spoken about in the past four years but did not present solutions and a vision for how he would do better and take the country forward. The reference painted a picture of the depressed PNM strongholds. Dr Rowley offered no solution for lifting the people out of the living hell his party created over the decades the PNM held power – including 30 unbroken years from 1956 to 1986. The PNM created a “dependency syndrome” which it used to build a vote bank while refusing to offer a helping hand to pull the people out of their misery. That is precisely Dr Rowley’s problem and why there are whispers today of a palace coup in the making. The 200 people in New York might have been disappointed but they would not decide the country’s future in 2015. That decision rests with the one million people on the voters list at home who are also waiting to hear from Dr Rowley about why they should entrust him with guiding the ship of state as the country’s next prime minister. After four years his best performance was summarised in his failure in New York. And if that was the best this prime minister in waiting can do, then the people of Trinidad and Tobago would be wise to keep the government they have.